The National Highway Traffic Safety Administration has revealed that seat belt use in 2013 reached 87 percent, which is statistically unchanged from 86 percent in 2012. The survey was conducted by the National Occupant Protection Use Survey, otherwise known as (NOPUS). Seat belt use for drivers and passengers involved in heavy traffic increased significantly from 89 percent in 2012 to 90 percent in 2013. Seat belt use for drivers and passengers in the Northeast increased significantly from 80 percent in 2012 to 84 percent in 2013. Seat belt use was found to be higher in states where vehicle occupants can be pulled over for not wearing safety restraints as compared to states with weaker or without seat belt laws. 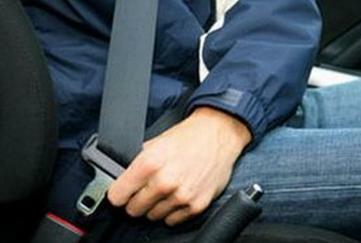 The National Highway Traffic Safety Administration has revealed that seat belt use in 2013 reached 87 percent. While serious injuries from a car accident can occur regardless of whether a seat belt is worn or not, statistics do show that using a seat belt can reduce the risk of serious bodily harm or death. According to the NHTSA, the use of seat belts in 2012 saved 12,174 lives. It is estimated that during the 5-year-period from 2008 to 2012, seat belts have saved 63,000 lives. In addition to those lives saved in 2012 from seat belt use, another 284 lives were saved by child safety restraints. NHTSA estimates conclude that an additional 3,031 lives would have been saved in 2012 if all unrestrained vehicle occupants ages 5 and older involved in fatal car crashes had worn their seat belts. Most states have some type of seat belt law, and Florida is no different. Florida law requires all front seat occupants to wear a seat belt, regardless of age. Additionally, all passengers under the age of 18 must wear a safety restraint. Florida has separate regulations regarding child safety restraints. Drivers are considered responsible for buckling up all children travelling in their vehicles. Children ages 3 and younger must be secured in a federally approved child-restraint seat. Children between the ages of 4 and 5 must be secured by a federally approved child restraint seat or safety belt. These seat belt laws apply at all times, whether you are travelling long distances or just taking a short trip through your neighborhood. Seat belt use is important because it not only saves lives, but because Florida is one of several states that allow a “seat belt defense” to be used by insurance companies should you be involved in an accident and were not wearing your seat belt. Basically, this defense can reduce your recovery for compensation of injuries that would not have occurred if you had been wearing a seat belt. While this might seem somewhat unfair, many argue that because wearing a seat belt is required by law, those that violate this law should suffer some consequences. If you have been injured in a car accident in Spring Hill, Brooksville or the surrounding area, please contact a Hernando County Auto Accident Attorney at Whittel & Melton as soon as possible by calling 352-666-2121. You can still seek financial compensation for your injuries if another driver’s negligence caused or contributed to the collision even if you were not wearing a seat belt. Your initial consultation with us is always free, and you can even fill out a free online case evaluation form by downloading our free app from the Apple App Store or get it on Google Play.